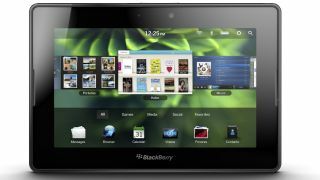 RIM's 4G LTE BlackBerry PlayBook Tablet 2 has a release date, though only for the U.S.'s neighbor to the north. Canada will get the device on August 9, and it's described as "ultra powerful, ultra portable and ultra fast" in a company press release. The rest of the world will have to wait for it "in the coming months." According to RIM, the PlayBook Tablet 2 will deliver "overall faster performance over the original BlackBerry PlayBook." It's touted to come with built-in cellular network support while maintaining a sleek, easy-to-take form. "It enables customers to easily access information on-the-go, with the choice of either using WiFi connectivity or 4G LTE connectivity – depending on preference and availability," said Ruth Casselman, a RIM spokeswoman. Despite no definite release date for the U.S., Europe or most other parts of the world, RIM seems excited for the device's potential to better accomodate both personal and business use. One of its marque features is it's capability to be managed with BlackBerry Mobile Fusion and BlackBerry Balance - keeping sensitive business information separate from personal details. The new tablet boasts a 7 inch display, front and rear facing HD video cameras, HDMI out and stereo speakers, an updated 1.5GHz dual core processor and 32GB of memory, plus runs on RIM's OS 2 software, a system only found in the RIM's latest products. RIM says customers will have acces to the LTE and HSPA+ mobile network, delivering a high-fidelity, speedy web experience that supports more HTML 5 functionality than any other native tablet browser out there. Always looking to mix business with pleasure, the PlayBook Tablet 2 will store work and personal emails and messages from Twitter, Facebook and LinkedIn in the same place. Built-in calendar and contacts apps will reportedly help users manage their schedules and prep for the boardroom more effectively. No word yet from RIM on what the expected U.S. retail price will be.